You've Got a Little More Time. Launch Your Life at Drew! 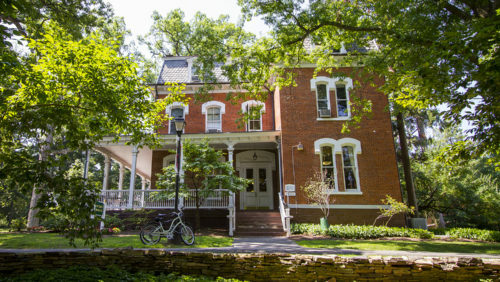 We are still accepting applications for Fall 2019 on a space available basis. Apply via the Common Application before it is too late. Launch your life at Drew. Launch—our one-of-a-kind, leading-edge path to a degree—syncs career development with rigorous academics and powerful community. At Drew, we use the Common Application and the Coalition Application. At Drew, we take a holistic approach to reviewing your application and consider many factors in our decision, including your high school grades, course of study, recommendations, essay, extracurricular involvement and SAT/ACT scores, when submitted. There are three options when you apply to Drew: Early Decision, Early Action & Regular Decision. Students who have decided that Drew is their number one choice of university should apply through the Early Decision program. Early Decision is a binding agreement—if admitted and if the financial assistance provided makes it possible for you to afford Drew, you are obligated to withdraw other applications and to pay your enrollment deposit to Drew. You should only apply Early Decision to one school. There are several advantages for students who apply Early Decision and for whom Drew is their first choice: your college search is concluded by mid-December; chances of admission are greater because Drew seeks to admit students who have identified Drew as their college of choice; students are considered for merit scholarships and need-based financial aid when these funding sources are at full capacity. There are two Early Decision application options: The ED I deadline for applications is November 15. Applicants will be notified of their decision on or about December 15. Admitted ED 1 applicants must deposit by January 2. Students who decide later that Drew is their first choice college are urged to apply as ED II candidates. The application deadline for ED II is January 15. Enrollment Deposits are due two weeks after admission notification. Students who apply Early Decision should complete the Early Decision Agreement which can be found as part of the application. Students who apply Early Decision to Drew and wish to be considered for need-based financial aid must complete the federal Free Application for Federal Student Aid (FAFSA) by November 15 in order to receive an aid decision at the time of admission. For students who have Drew high on their list and are eager to learn their admission decision, but aren’t quite ready to commit to the binding agreement that comes with Early Decision, Drew offers Early Action. Drew’s Early Action deadline is December 15. If you are admitted as an Early Action candidate, you’ll receive your admission decision on or about January 25. 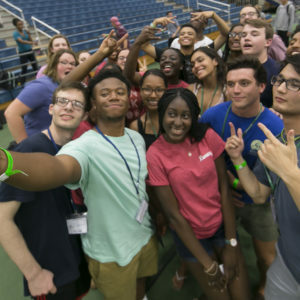 This will provide you with several extra weeks to communicate with current students and faculty, plan a visit and explore more deeply life in “The Forest.” You’ll also get early access the DREWniverse, our own private social network, allowing you to connect sooner with other admitted and current students. Students who apply Early Action and wish to be considered for need-based financial aid must complete the Free Application for Federal Student Aid (FAFSA) by December 15 in order to receive an aid package at the time of admission. All applicants are automatically considered for Drew’s merit scholarships. Drew’s application deadline for those students applying under our Regular Decision program is February 1, with notification by March 18 and a deposit due date by the National Candidate’s Reply Date of May 1. Students are automatically considered for Drew University academic merit scholarships. A financial aid award will be included along with the letter of admission for students who submit their Free Application for Federal Student Aid (FAFSA) at the time of application. Interested students should apply separately for Drew’s Civic Engagement Scholarship and Drew Scholarship in the Arts. Applicants will be notified of their scholarship awards upon admission to the University. Drew will continue to consider regular decision applications after the deadline on a space-available basis. Students electing not to submit SAT/ACT scores must present a strong high school transcript in a rigorous college-prep or honors curriculum and typically will have at least a B average. Students should indicate the desire to be considered under Drew’s test optional admission program when completing your application. Admitted students who commit to Drew are required to submit a final high school transcript. Please request that your college counseling office send your transcript to Office of College Admissions, Drew University, 36 Madison Avenue, Madison, NJ 07940. Your final transcript is required prior to the start of your first semester at Drew and the release of federal aid. The Admissions Committee reserves the right to rescind an an offer of admission and any scholarship award if a student’s academic performance falls below that upon which the admit and scholarship decisions were made. Looking for the inside scoop on what life is like in The Forest? What's the best class? Are the tacos good on Tuesdays? Dive into the the DREWniverse, Drew's private social network, to meet other applicants and ask current students the questions that just didn't get answered in the brochures. Let's be clear—college tuition is too high. So in fall 2018, we lowered our tuition by 20%. Drew is quite generous with financial aid and provides over $35 million to its students in financial aid each year. Both domestic and international students can qualify for merit-based scholarships, which are based on previous academic achievement. These scholarships do not require any additional application so students are automatically considered at the point of admission. While SAT/ACT scores are not required for consideration for admission, only those who submit test scores are eligible to be considered for the Baldwin Honors Program, the Francis Asbury Scholarship or the Presidential Scholarship. In addition to these merit scholarships, first-year students may also apply for the Civic Engagement Scholarship and the Drew Scholarship for the Arts. The Civic Engagement Scholarship rewards students for community service while the Drew Scholarship for the Arts is for students who excel in the arts and plan to be an active member of the art community at Drew. In addition to merit aid, US citizens who file the Free Application for Federal Student Aid (FAFSA) are also considered for need-based financial assistance. Limited need-based funds are also available to international students who submit the International Student Financial Aid Application. Draw from the resources of not just one, but two great universities. A Bachelor of Arts in engineering plus a Bachelor of Science in five years. A bachelor’s degree and law degree in six. Apply simultaneously to a liberal arts program and a medical school. We offer you several combinations of degrees you can earn in combined degree programs—all at world-class schools. Take one of these paths, and not only could you have both of your degrees earlier—and at lower cost—than otherwise, you’ll also have mentorship and resources from both universities along the entire way. The Educational Opportunity Scholars program is a partnership between the New Jersey Commission of Higher Education and Drew University. Within this partnership, the program provides access to higher education and support for highly motivated students who exhibit the potential for success, but come from families of low income and lack access to the quality educational preparation necessary to attend college. The program provides direct services designed to promote persistence through degree completion. Furthermore, the program supports innovative educational initiatives, support services and leadership development activities to enhance the student's chance for academic success. Are you an International student who will require a visa to study in the United States? If so, be sure to review the additional information for international students. Our one-of-a-kind, leading-edge path to a degree syncs career development with rigorous academics and powerful community.